February isn’t just for Valentine’s day and we really enjoy learning all about different cultures, holidays, and celebrations! We have celebrated our traditional western calendar New Years Eve and New Year’s Day but when is the Chinese New Year? The Chinese New Year day changes from year to year as it goes off of the traditional Chinese Lunar-Solar Calendar. Although, the Chinese adopted the use of the western calendar in 1912 and began celebrating new year’s day on January 1st, the Chinese New Year is still the most important celebration called the spring festival. 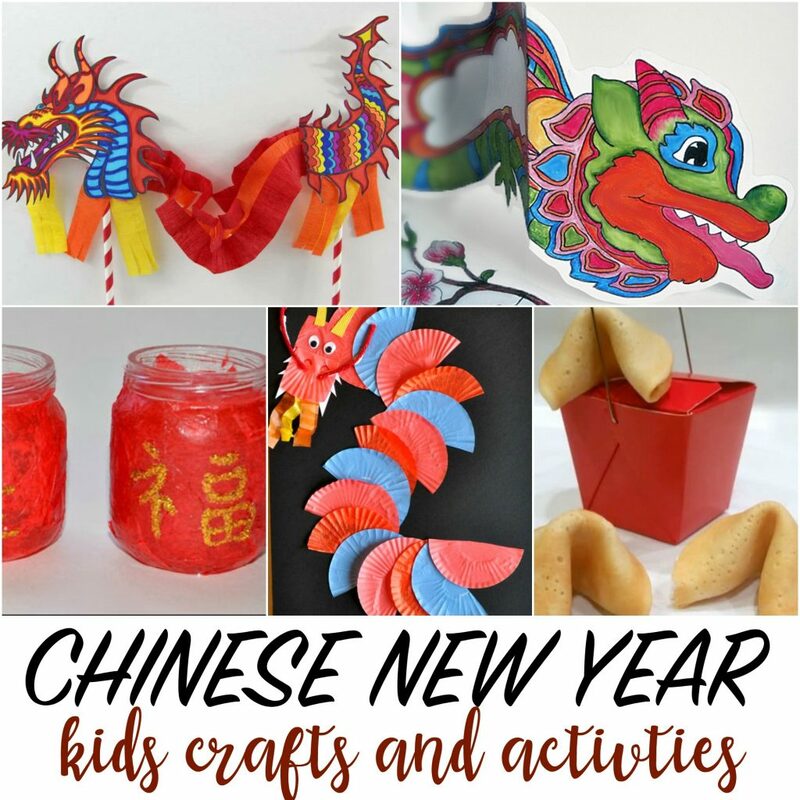 You can learn and explore all of the customs that go along with the Chinese New Year – or Chinese Spring Festival – with crafts and activities at home or in the classroom. A Chinese New year craft, special spring festival food, or traditional music can really bring to life the learning experience. Although the animal of the year changes from year to year, a focal point of the Chinese New Year celebration is always the dragons. Create a Dragon puppet out of paper, or a Paper Bag Dragon craft. Another Chinese dragon puppet uses crepe paper for the body or print a template for a dragon hand puppet. With items you already have you can create a beautiful Dragon from egg cartons or cupcake line dragon artwork. If you are looking for something simple you could print and color a dragon pop-up card or a Dragon coloring page. Another idea is to create lanterns. Lanterns are used during the Chinese New Year and the Lantern Festivals. These Chinese lanterns are made from empty baby food jars or you can make a fun Chinese lantern snack! These mini lanterns made from cardboard tubes are super fun, too. Don’t forget the Hong Bao! Hong Bao, or Red Envelopes are traditionially given during the chinese new year with money inside and the Red color is to symbolize luck and to ward off evil spirits. You can make your own Hong Bao envelopes and give them to your friends and family with well wishes written inside. Top your Chinese New year celebration off with a fun treat and make these faster homemade fortune cookies. Want to add more to your lesson? 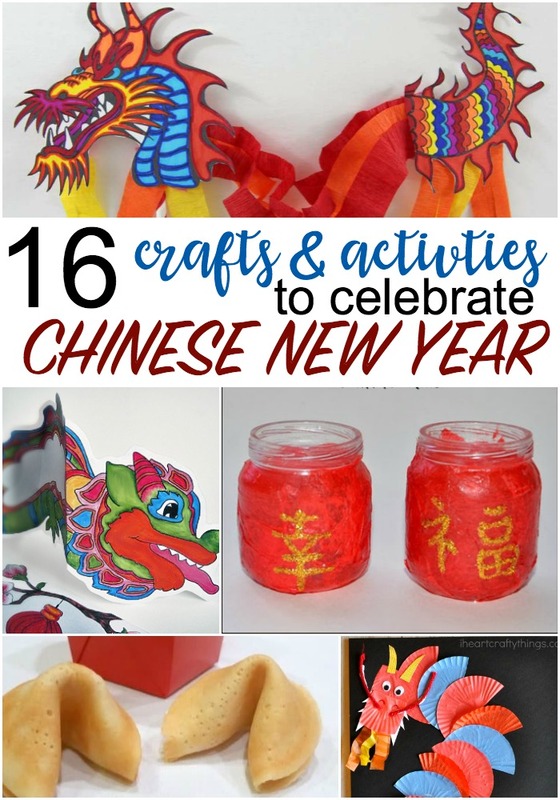 This printable facts about China for kids book is a great tool for the younger elementary kids and these Chinese New Year songs and rhymes are perfect for circle time! You might also enjoy reading children’s books about the Chinese New Year.